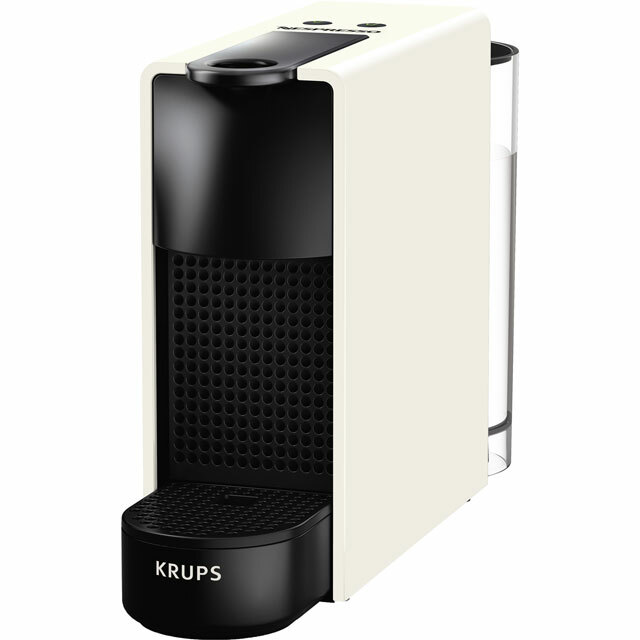 Prepare barista-quality coffee at home with this grey Nespresso® Essenza machine by Krups. You can enjoy the full range of Nespresso® coffee capsules with this model and experience an array of delicious flavours. It has a fast heat up time of just 30 seconds and an automatic shut off feature which turns itself off after 9 minutes of inactivity. This means you’ll never have to worry about accidentally leaving it on or wait too long for it to heat up again. You can effortlessly prepare both espresso and lungo coffees at the touch of a button thanks to the programmable coffee size feature. Register your machine online with Nespresso® to activate your warranty and gain access to the Nespresso® Club for exclusive, member-only perks. Really pleased with this product which I bought as a present for my father. It's simple and compact design makes it aesthetically pleasing in any kitchen space. Don't be fooled by the small water reservoir, it lasts longer than you think! Easy to use and produces great cups of coffee. 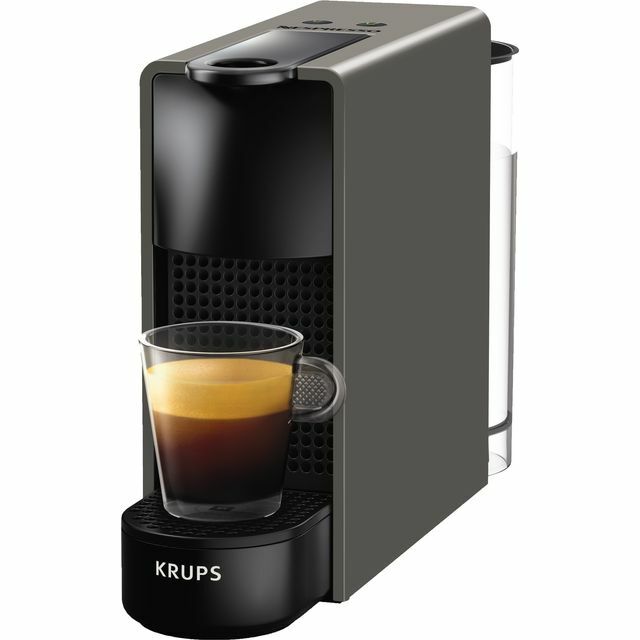 Being one of the cheaper Nespresso machines I was sceptical but i have found it be be great makes a fantastic cup of coffee nice and compact so it doesn’t take loads of space. Really love my new nespresso - arrived promptly and in good condition and works beautifully! Cheers up my mornings! Love this coffee machine. Easy to use and clean. Ready to use within seconds. Great coffee! !